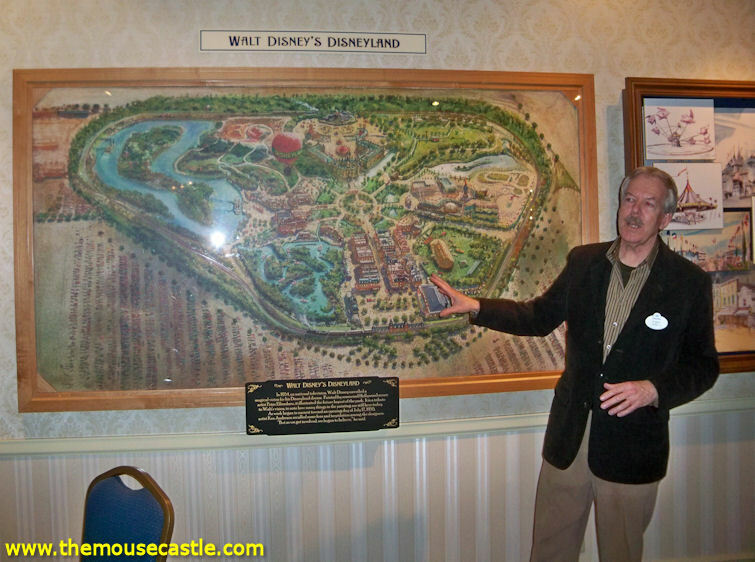 Disney News and Interviews From The Mouse Castle: Jim Henson, Disney Legend? Last month, Disney announced this year's Disney Legends Award winners. This annual honor, recognizing "the many individuals whose imagination, talents and dreams have created the Disney magic," will be presented once again during the D23 Expo in Anaheim. This year's honorees range from the deserving (Jodi Benson, Paige O'Hara, Lea Salonga) to the long overdue (Guy Williams, Jack and Bonita Wrather). There's at least one I think is a bit premature (Anika Noni Rose, loved your work in The Princess and the Frog, but it's far too recent a movie to boost you to Legends status). And then there's Jim Henson, the creator of the Muppets. 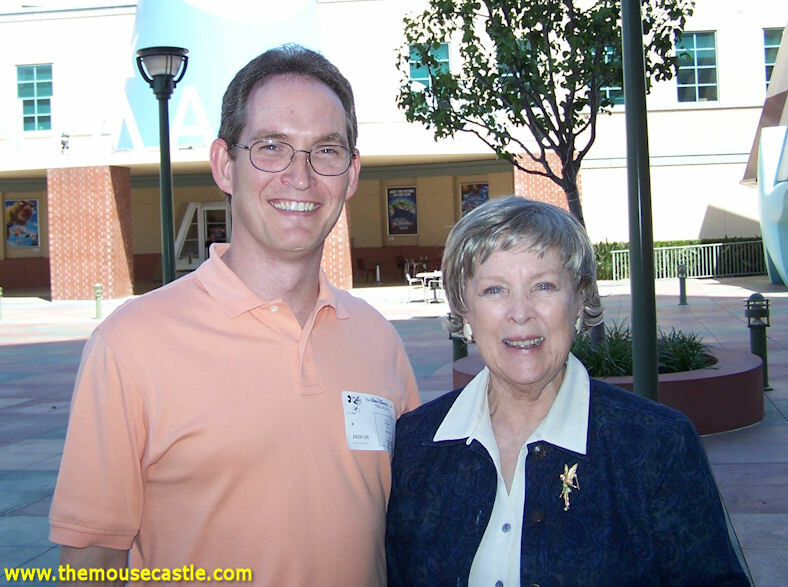 Henson is a legend, make no mistake, but is he really a Disney Legend? His best work, creating the characters for Sesame Street and later The Muppet Show, was done years before the Muppets were even a blip on Disney's radar. It wasn't until 1989 that Henson began talking with Disney about acquiring Kermit, Miss Piggy and the gang. It appeared to be a done deal with Disney and Henson forming a creative partnership that would eventually produce MuppetVision 3D at the Disney theme parks plus several television specials. After Henson's sudden death in May 1990, however, the deal fell through. Disney kept MuppetVision 3D, but didn't buy the Muppets outright until 2004 (the Sesame Street Muppets remained the property of the Children's Television Workshop). You can argue that since Henson completed the principal filming of MuppetVision 3D (that's his voice as Kermit), it's sufficient to qualify him as a Disney Legend. I think that's a bit of a stretch. Henson's legacy was with his own company and his famous creations, not with Disney. Disney's eventual ownership of the Muppets does nothing to change that. Can Disney recognize whomever they want as a Legend? Absolutely. But all this does is make me question their motives. If Walt Disney Pictures wasn't making a big push for their film The Muppets coming out later this year, would Jim Henson even be a candidate for a Legends Award? I think not. 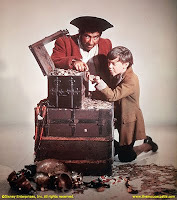 Driscoll was one of Disney's earliest and brightest child stars in the 1940s and 50s, appearing in Song of the South, So Dear to My Heart and most notably as Jim Hawkins opposite Robert Newton's Long John Silver in Treasure Island. In 1950, Driscoll received a special Oscar recognizing his outstanding juvenile performances. He also holds the distinction of being the first performer to star in a Disney live action film and also voice a major Disney animated character. 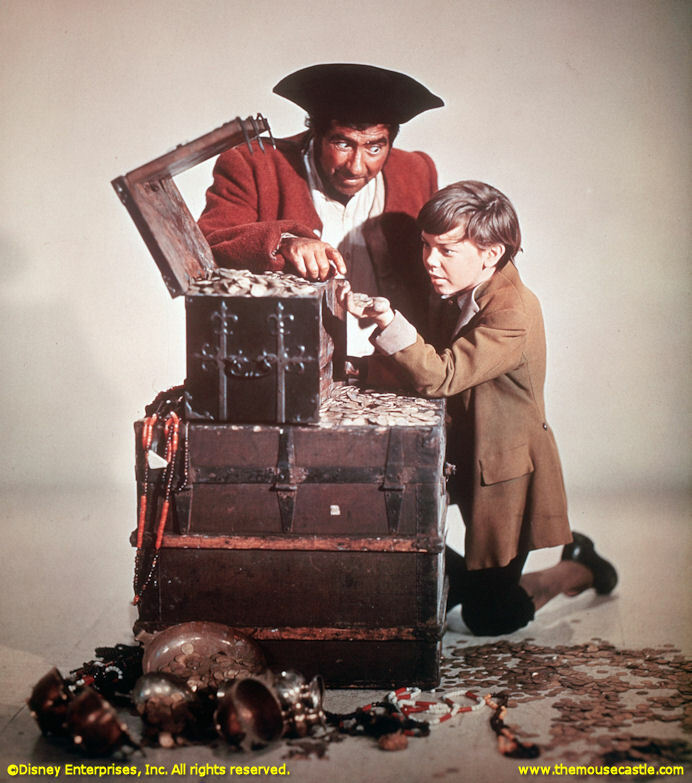 He provided the voice of Peter Pan in the 1953 film. Sadly, Driscoll's life is also the tragic worst-case scenario for every child star who couldn't handle the pressures of early fame and outgrew the cuteness of youth. As Driscoll got older, acting roles became fewer. His young adulthood was marred by a spiraling drug addiction and multiple run-ins with the law. He died homeless and alone in an abandoned New York City tenement in 1968. He was 31. Largely forgotten, he was buried in an unmarked pauper's grave. It would be more than a year before his body was identified by a fingerprint match. Whether the nature of his final years or simply the passage of time has kept Driscoll from becoming a Disney Legend, his exclusion is a huge oversight. He should be honored for the remarkable body of work during his early career. Disney needs to make it right. The passing of Golden Horseshoe legends Wally Boag and Betty Taylor earlier this year reminds us of the other performers Pecos Bill and Slue-Foot Sue shared the stage with. Fulton Burley may be the first name that comes to mind with his 25 years of service to the show (he was named a Disney Legend with Boag and Taylor in 1995), but it was Donald Novis who played the Horseshoe's resident Irish tenor for the first seven years of the Golden Horseshoe Revue. It was at Novis' invitation that Wally Boag even auditioned for the show, earning Boag a gig that would last 27 years. Novis' signature tunes were "Dear Old Donegal" and "Beautiful Dreamer." If his voice sounded familiar to Disney fans, it was because he also recorded the lovely "Love is a Song" for the 1942 animated classic Bambi--another notch in his belt for consideration as a Disney Legend. Novis left the Golden Horseshoe Revue in 1962 due to poor health and passed away in 1966. Her employment with Disney lasted mere months, but oh, what came out of it. Hired by the Studio in the early 1950s for her dancing and pantomime abilities, Margaret Kerry became the live action model for Tinker Bell in Peter Pan. Her physical gestures and facial expressions, acted out on a huge sound stage with over-sized props, inspired animator Marc Davis to create the now iconic pixie. Don't let the urban legend fool you. Marilyn Monroe was never the inspiration for Tinker Bell. It was all Margaret. In her later years, Margaret has appeared at countless fan expos and memorabilia shows, charmingly preaching the gospel according to Tink. While only a handful of these shows are official Disney events, Margaret has nevertheless become an unofficial Disney ambassador. If you've ever met her in person (her fans are legion), you know the magic she brings. No one sprinkles the pixie dust like Margaret Kerry. In his 40+ years with Disney, Tony Baxter has gone from serving ice cream on Main Street to being a Senior Vice President with Walt Disney Imagineering. Along the way, he's been the driving force behind the design and construction of Big Thunder Mountain Railroad, Splash Mountain and the Indiana Jones Adventure, not to mention the resurrection of Great Moments With Mr. Lincoln. He is easily the most recognizable of modern day Imagineers and is hugely popular with fans. It seems every person who's met him has a Tony Baxter story to tell. That discussion always includes how enthusiastic and respectful he is for Disney theme park history. He's a fan, just like us. He's just the one with the really cool job. At last year's Destination D event at the Disneyland Hotel, Disneyland president George Kalogridis was asked about the chances of bringing the PeopleMover back to Tomorrowland. He acknowledged there were challenges, particularly in complying with current California safety laws, but, he added, "as long as Tony Baxter is thinking, there is hope." That's exactly the type of confidence you'd expect to have in a legend. Let's take a look at some of Glen Keane's credits as a Disney animator and supervising animator, shall we? Elliot, Pete's Dragon; Professor Ratigan, The Great Mouse Detective; Ariel, The Little Mermaid; Beast, Beauty and the Beast; Aladdin; Pocahontas; Tarzan. Tell me again why this man isn't a Disney Legend? Another Disney animator with remarkable credits, Andreas Deja has a special knack for villains: Gaston, Beauty and the Beast; Jafar, Aladdin; Scar, The Lion King. He's also a trusted name when it comes to classic characters, animating Mickey Mouse in Runaway Brain and The Prince & the Pauper as well as Goofy in How to Hook Up Your Home Theater. Most recently, he was the supervising animator for Tigger in the new Winnie the Pooh movie opening Friday. Who else do you feel is deserving of a Disney Legends Award? Please share your comments below. Your list is a rather good one. I still am surprised that Ms Kerry hasn't been made a Legend as many consider her as one in terms of her part in the history of such an iconic character. Tony Baxter defines Legend - and the fact that he doesn't have his name on the wall at the Studios yet but the run of "voices of the princesses of the last 30 years" are all getting celebrated as "Legends" - not loving that at all. At least they didn't make Mandy Moore a Legend--that would've been way too much lol. I'm torn on the whole honor-the-princesses thing. Absolutely, it's a blatant PR ploy to make the Legends event at the D23 Expo more accessible to fans. But, as I said in my post, I still think Benson, O'Hara and Salonga are worthy. This is an outstanding article. Outstanding. The part about Bobby Driscoll has me an absolute tears. Peter Pan is a really important figure in our home and a beloved character. It breaks my heart knowing that a voice that is so important in our home died in such a sad way. I agree that he deserves to be remembered for what he did for Disney. I also agree on your choices as legends as well as your thoughts on Henson. That one seems way too transparent.